The best auto repair near San Dimas is just one phone call away! We are physically located in Covina, just a short drive away from San Dimas. Customers come from all over the area for our high-quality workmanship and professional customer service! 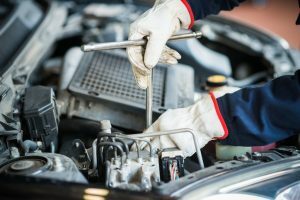 What makes a great auto repair shop near San Dimas? One that cares about you, and your vehicle, and has the knowledge and technique to back up their repairs. Our service advisors want the best for you and your vehicle and hope to keep it on the road for as long as possible. However, we will tell you when your repairs outweigh the value of the vehicle, to give you more clarity on if it is time to sell it. We love building relationships with our customers and are proud to still service customers that came in 30 years ago. When you need the best auto repair near San Dimas, give Johnny’s Auto Service a call. Our technicians and service advisors are ASE Certified, which stands for Automotive Service Excellence. This means we understand your vehicle inside and out and can have you back on the road in no time! We are also part of the 2% of automotive shops in the nation that are AAA certified and are proud to announce that we are the best auto repair shop near San Dimas that has achieved a 100% AAA customer satisfaction rate for the past 3 years in a row! Give us a call today to schedule your next appointment, or schedule online through our easy to use online appointment portal. We look forward to servicing you!